Explore the world by bicycle. Discover the adventure that awaits you. Inspire others. Whether you are new to bicycle travel or looking to build your outdoor leadership skills, this program from the Adventure Cycling Association is here to help get you in the saddle and out on the road by providing classes and resources to young adults ages 18 to 30. Each of their two scholarship tracks are designed to support riders of varying levels of experience and cover the cost of attending one of their education courses. In addition to providing transportation, accommodation, and course fees, Adventure Cycling will also hook you up with the right gear to plan your next adventure. Upon completion of the education courses, scholarship recipients will take what they’ve learned and apply it to an outreach activity to promote bicycle travel in their communities. 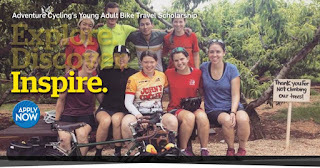 The Young Adult Bike Travel Scholarship was developed in response to our members’ overwhelming enthusiasm and commitment to Adventure Cycling’s mission to inspire and empower people of all ages to travel by bicycle. 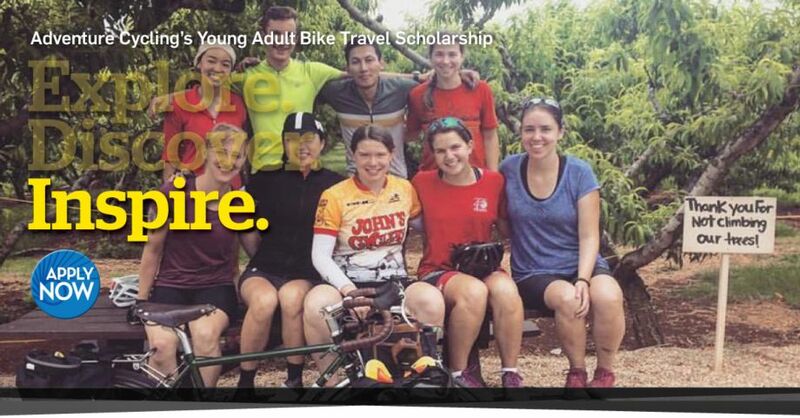 Do you have a question about the Young Adult Bike Travel Scholarship Program? Please contact Eva Dunn-Froebig, Adventure Cycling Association's Events & Outreach Coordinator, at (406) 721-1776.